Max Hayes is a senior at Lake Forest Academy. When not writing sports, reviews, and news articles for caxynews.com, he is playing golf in the fall, basketball in the winter, and tennis in the spring. He is currently one of the three web editors/editor-in-chief of the online publication, and occasionally writes articles for the print publication The Spectator. He has been studying journalism at LFA for three years now and has worked as staff writer and sports editor. 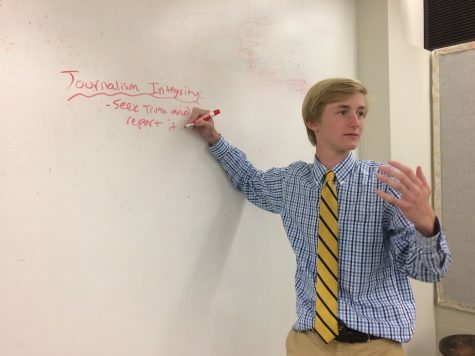 Max’s passion for journalism comprises of love for reporting, providing a voice to the LFA community, and seeking truth and reporting it. In addition, he also manages the publication’s Instagram account. His fun fact is he enjoys a competitive fantasy football season.